The day kicks off with one of those Argentina-Brazil confrontations. In Buenos Aires, Racing play host to Atletico Mineiro, the 2013 champions, from Belo Horizonte. Racing have not won the title since 1967 but in their quest for a second title, they have two things going for them. One is their attacking strength in depth. Last year, the duo of Diego Milito and Gustavo Bou fired magnificently. 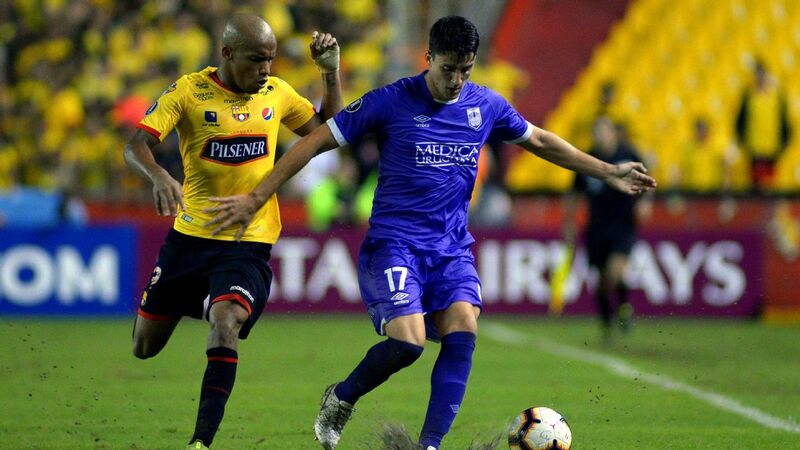 This time round, Milito (close to retirement) and Bou (injuries) have not been as effective, but they can still count on the experience of Lisandro Lopez, the promise of the powerful Colombian Roger Martinez and the highly promising, left-footed playmaking of Paraguayan Oscar Romero. Racing have also shown a capacity to dig deep when it really matters: they did so in the play-off against local rivals Independiente to clinch a place in the competition, again in the trip to Colombia when they looked to be on the end of a battering from Deportivo Cali, and last week when they secured their place in the knockout phase with a gutsy draw away to Bolivar amid the extreme altitude of La Paz. There are, though, clearly question marks about their defence, something Atletico Mineiro have the tools to exploit. The most impressive Brazilian side in the group phase, Atletico have added wisely to a squad that came second in last year's national league. And where their style of play used to be dangerously frenetic, Uruguayan coach Diego Aguirre has them playing with a bit more thought. Atletico are favourites but their away record has not been particularly impressive, both in the case of the 2013 champions and this year: in the group phase they managed one narrow win (against Melgar of Peru, who lost all their games), one slightly fortunate draw (versus Colo Colo of Chile) and a defeat to Independiente del Valle of Ecuador. All of this adds up to an interesting dilemma for Racing coach Facundo Sava. Does he go all out for a first leg lead? Or will respect for the Atletico counter attack impose a more cautious approach? 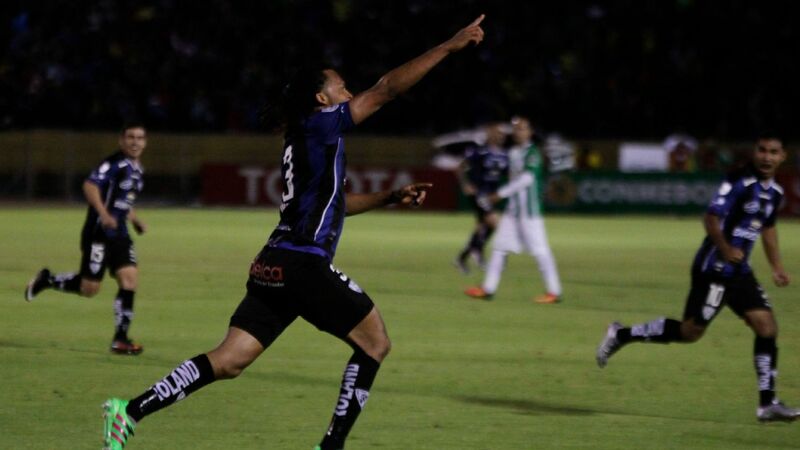 Corinthians of Brazil will feel that they too are favourites against Nacional of Uruguay. 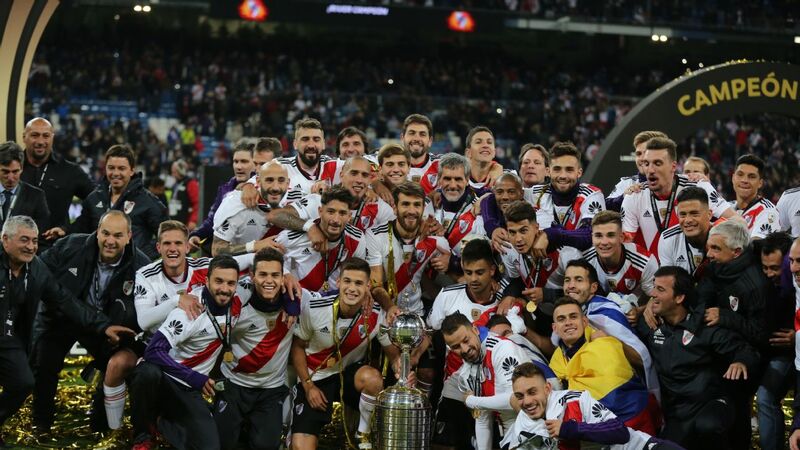 The Uruguayans lead in the tradition stakes by three titles to one but Nacional's last triumph came in 1987, whereas Corinthians climbed the podium in 2012; their side, solid and compact, went on to become the last South American winners of the Club World Cup. The coach, both then and now, was Tite. 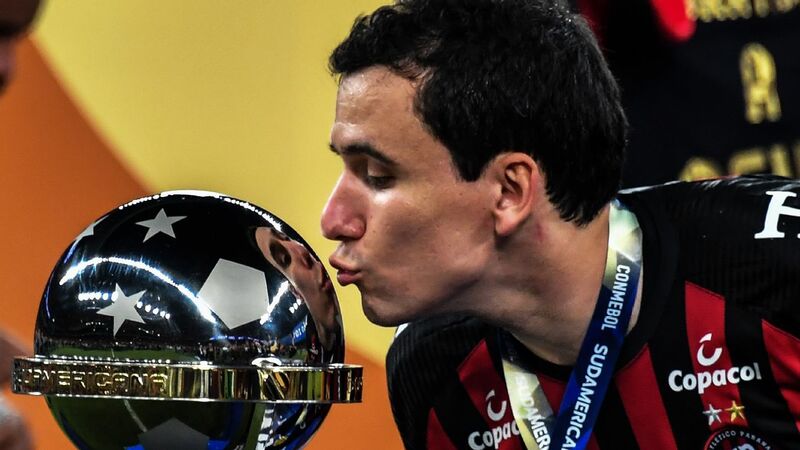 After winning the Brazilian Championship in such style last year, his team was broken up in January, with key players unable to resist huge offers from China. He has had to carry out a rapid rebuilding job and has done so effectively enough. The loss of attacking midfielder Giovanni Augusto to injury is a blow. 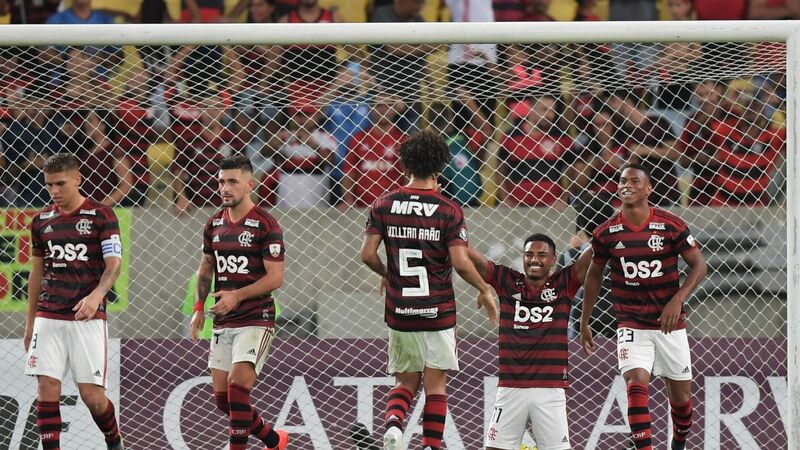 It could be, though, that the weekend's elimination from the Sao Paulo State Championship (Corinthians went out at the semifinal stage, beaten on penalties by little Audax) is a blessing in disguise. 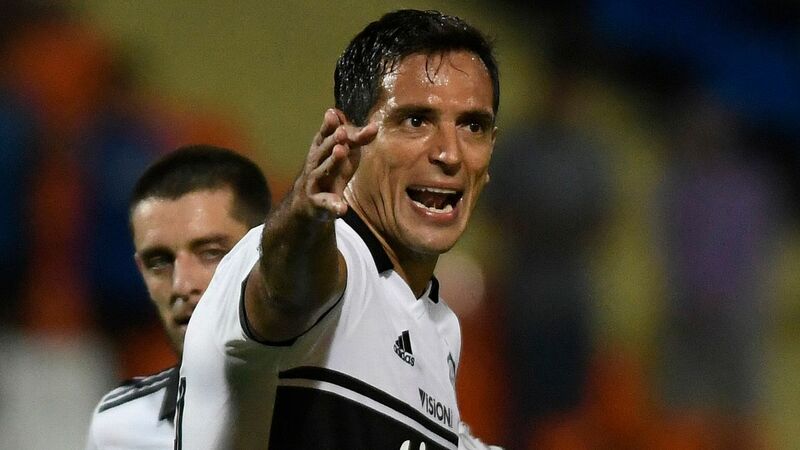 There will be no fixture pile up, leaving team and coach to concentrate solely on Nacional, where coach Gustavo Munua is unlikely to be suffering the kind of dilemma that Sava of Racing might be wrestling with. Another Brazil vs. Argentina clash sees Marco Ruben and Rosario Central face off against Gremio. Nacional will surely base their game on the counterattack. They will attempt to cover up, their defence marshalled by a sound pair of centre-backs in Mauricio Victorino and Diego Polenta. They will look to break at pace, both through Kevin Ramirez down the left and especially via striker Nico Lopez, full of fluid and intelligent movement. This was the model when Nacional won home and away against Brazilian opposition (Corinthians' local rivals, Palmeiras) in the group stage, and it is hard to imagine that Munua will change down. 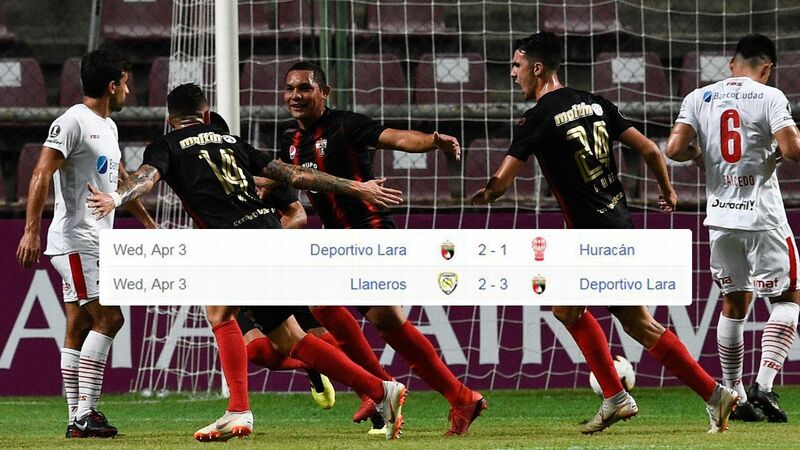 Those two games were the only ones Nacional have won so far in the competition. Tite will hope that his side will press with sufficient intensity to kill the counter-attack at source, and ensure there are no further Uruguayan triumphs in this year's competition. Perhaps the most intriguing of Wednesday's three matches is the clash between Gremio of Brazil and Argentina's Rosario Central. These are two attractive sides who attack better than they defend. Centre-back Alejandro Donatti is slow and can be vulnerable if isolated. His partner, the veteran Javier Pinola, used to be an attacking left-back and the side is set up to give him freedom to break forward. If Gremio's passing game is at its slickest, they should be able to exploit holes in the Central defence and slip the likes of Luan through on goal. But Gremio also have defensive problems, especially in the first leg absence of their excellent centre-back Pedro Geromel. They can be vulnerable in the air. Keeper Marcelo Grohe is good at reflex saves -- he had a wonderful game when Gremio snatched a draw against San Lorenzo on a previous trip to Argentina -- but he does not command his area, something that could open the door for Central's Marco Ruben, perhaps the best centre-forward in Argentine football and a constant aerial threat. Both sides in this clash have the strengths and weaknesses to hurt the other, which should make Rosario Central vs. Gremio one of the highlights of the round.